Last Saturday I got to go to the A-Z gaming group after about 2 weeks away. The end of the month has been reserved for apocalypse lately, and there has been an ongoing campaign lately. This time it was Tyranids vs. Imperials with no super-heavies. I didn’t get to watch too much of it though since I was taking part in a Malifaux demo. Just as I thought, I really enjoyed my game and my initial purchase of the thunder starter set was well founded. I didn’t play that faction because the person running the demo had a premade scenario and a balanced faction set out. This guy really knew how to run a demo too… It wasn’t about winning and losing but rather about playing through a variety of mechanics. So now that is two games that I will be spending money on, but fortunately Malifaux is a skirmish game, and much more affordable. This week I s tarted assembling the only models I have. It has been roughly 5 years since I have done so I am a touch nervous. 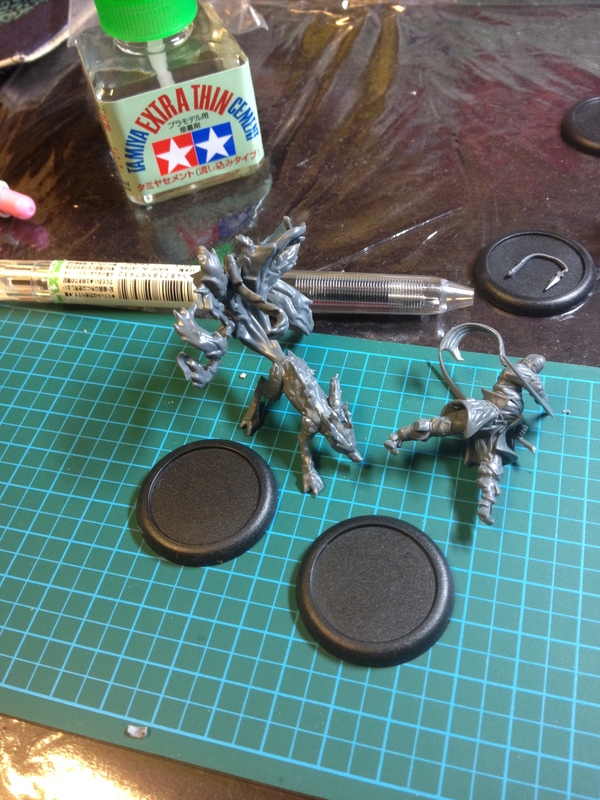 While Malifaux’s models are gorgeous, they are spindly and fragile. They don’t come with assembly instructions either, and let me tell you… Shang’s tail is an enigma. I had to go on the internet to figure it out and still it took a few tries. While assembling I also fumbled a few times and broke a few of the more fragile pieces such as a scarf and Misaki’s hair dagger… I repaired the scarf, but honestly I prefer her without it. 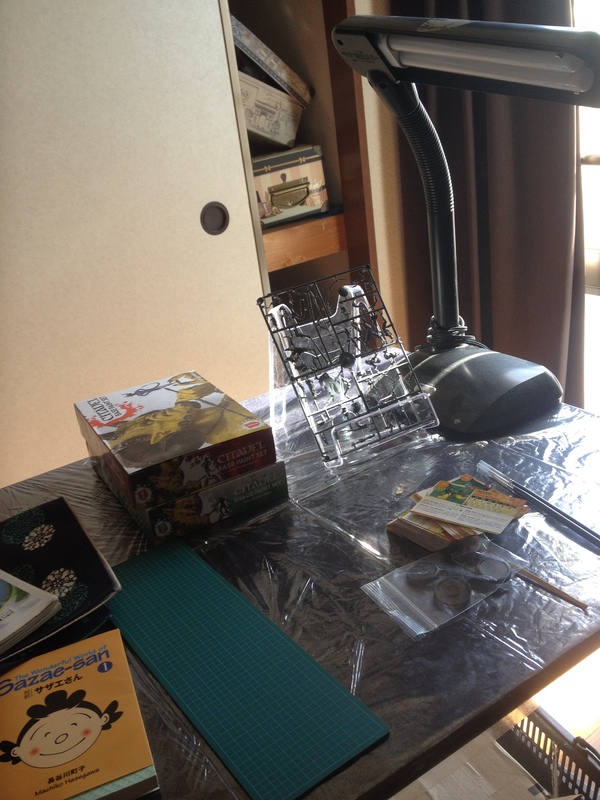 Anyways… Good news is my big Vallejo paint set has arrived and I am going to pick it up tomorrow. I’m looking forward to starting up again. Posted in GamingTagged 40k, A-Z gaming club, MalifauxBookmark the permalink.